If you have sustained an acquired brain injury, Wellways can provide responsive and innovative support options to assist your participation in the community. 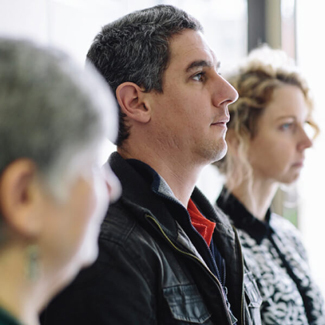 Our Headway service in North West Tasmania and our services in New South Wales, ACT and Queensland, provide a range of supports to foster successful participation in the community. Headway’s services include psychosocial and community rehabilitation to meet the needs of individuals, including counselling for clients and families and referrals to other services as needed. Our services span a range of in-home and community supports, including personal care, home help, community access, recreation and respite. Cassy Nunan, Consultant for Consumer Advocacy and Leadership at Wellways, and Rachael Lovelock, Consultant for Carer Advocacy and Leadership at Wellways, explain what advocacy is in relation to mental health and disability, including the way we approach advocacy, the important role it plays in overcoming stigma and discrimination within the community and how you can get involved.